The World Through Our Eyes is an exhibition of works by eight Two Spirit artists curated by 2015 Guest Curator, Orlando Avery. The exhibition showcases a beautiful variety of art from fashion design, photography, acylic, and installation art. 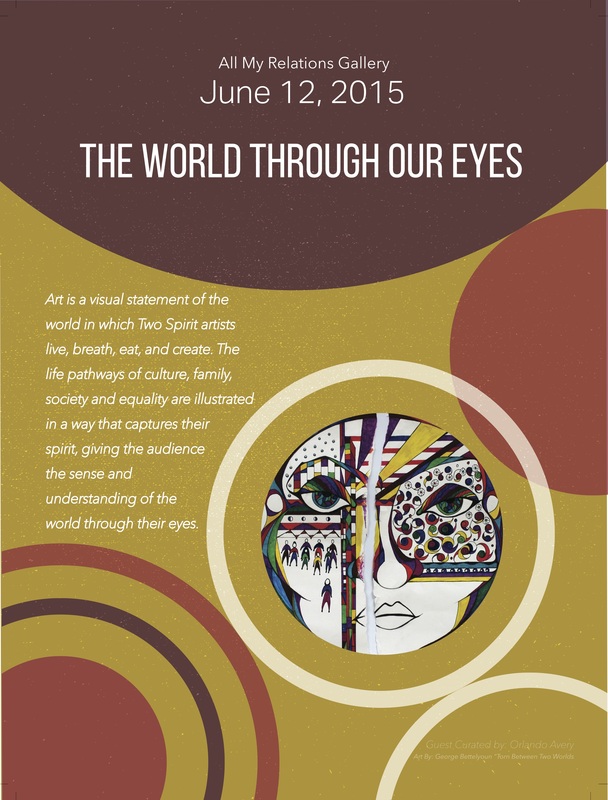 Featured artwork depicts the artistic rendition of the world seen through the eyes of a Two spirit artist. Avery is a tribal member of the Cheyenne River Lakota Nation. He grew up in Redscaffold Community in South Dakota. Avery studied Museum Studies from the Intstitue of American Indian Arts in Santa Fe, NM.